This graph shows the development of Nebraska's real GDP from 2000 to 2017. 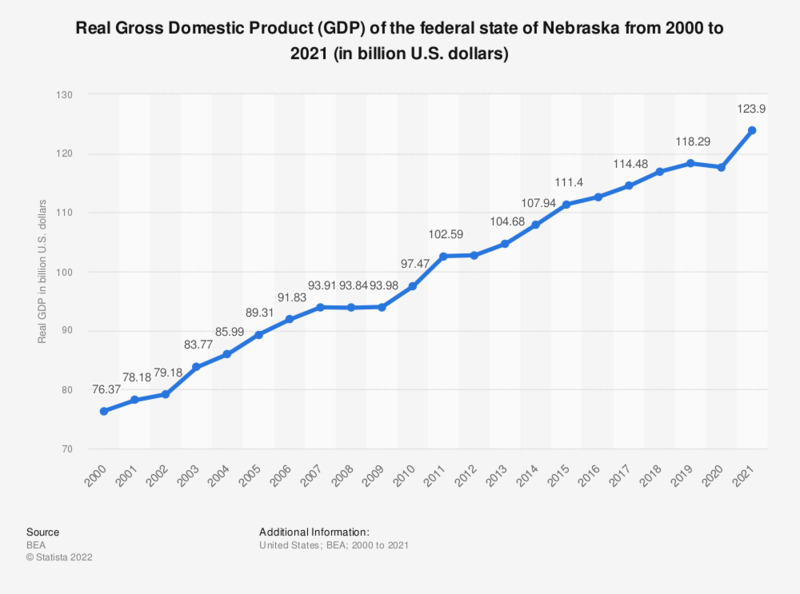 In 2017, the real GDP of Nebraska was 104.94 billion U.S. dollars. The annual real GDP growth of the U.S. can be accessed here.